Nintendo have released the latest trailer for Mario Tennis Open, showcasing the Nintendo 3DS exclusive’s ‘Special Games’ mode. 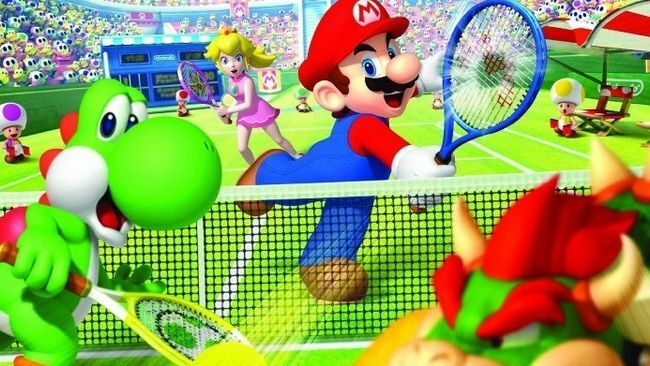 Within such mode, players will be able to hone their tennis skills across a series of games that have received a slight Mario twist. This includes Super Mario Tennis, which sees players swing the ball against a Super Mario Bros. backdrop – taking out Goombas and Koopas along the way. You can play as a variety of Mushroom Kingdom characters within Mario Tennis Open, or even as your Mii character. These can be customised with Mario-themed tennis gear, which enhances your appearance and also provides a boost to your statistics – examples include Bowser’s favourite racket, a Bullet Bill outfit and Peach’s tennis shoes. Mario Tennis Open is due to release across North America on May 20th, and Europe on May 25th.